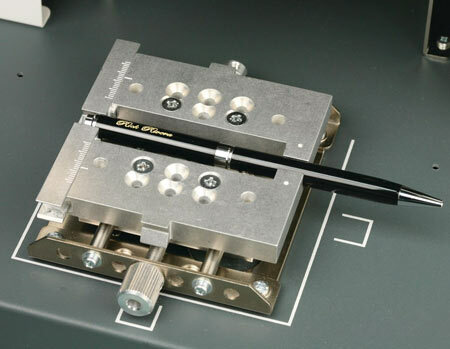 The new MPX80/90 Vise Fixtures optimize Roland impact printers and engravers by expanding the range of items that can be engraved. Each is easy to set up and fits on the existing machine vises. The fixtures quickly and easily secure objects in place for precision results on a multitude of materials.